The first golden rule to follow is to make step-one that of brainstorming around five keywords or phrases that offer the best description of the domain being sought. After this comes the adding of suffixes and prefixes to come up with the final domain name idea. For example, if the domain is to be related to the housing market, a selection of brainstormed keywords would be interest rates, mortgage rates, property prices, finance and loans. When a website becomes frequently mistaken for another which has an almost identical domain name, the result is never a position one. From annoyed customers right through to legal action, this is something to avoid at all costs. Don’t be tempted to use what seems to be a winning name simply by deliberately misspelling an existing domain name or adding a hyphen – you’ll be sorry you did. 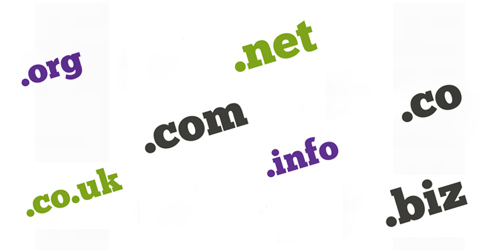 Any website or business owner serious about ensuring the growth and success of their efforts over time simply must give exclusive priority to .com domain names. While various other examples the likes of .net and .org may be fine for some and can work very well with SEO efforts, around 99.9% of the consumer and business worlds still assume that com domain names are the be all and end all of the web – so use them! Any domain name that is either difficult to spell, too long or carries a series of unusual characters will immediately lose a huge proportion of its value, as thousands of visitors will be unable or unwilling to successfully locate it. Simplicity is, as always, the key. Last but not least, the final golden rule that simply cannot be overlooked in its importance is that of making the domain name easy to remember, as word of mouth both in a physical and online sense still counts for so much in the world of the website. The simple fact of the matter is that nobody will be able to promote your efforts for you if they cannot remember the domain name – chances are they’ll end up sending your rightful business elsewhere.